Barcode Professional for Reporting Services (SSRS) is the most advanced Barcode CRI that allows you to create high-quality & high-precision GS1-AIM-ISO-Compliance barcodes for your RDL reports within Visual Studio, SQL Server Data Tools or BIDS. "Was in need of putting BarCodes in SSRS, NeoDynamic's Barcode Professional works perfect, extremely easy to setup and use. Couldn't be happier with choosing this product." Some SSRS Editions like Express, Workgroup & Web lack of support for third-party visual CRI components. Our product addresses this limitation by providing out-of-the-box a Barcode DLL which works with all editions of Reporting Services! For development, a wizard-style assistant guides you with the correct installation process. For deployment, a simple XCOPY approach is sufficient to get it up and running. Our barcode algorithms were written by following the official specifications - published by GS1, ISO/IEC & AIM - of each barcode symbology. This ensures you that the generated barcodes will pass the verification process required by many companies like those in the postal, health, food and many other sectors. Our barcode engine provides you with an exclusive set of features like auto-checksum, data validation, Bar Width Adjustment (BWA) for linear & 2D symbols, auto-encoding methods for shortest barcode symbol generation and more; that only a Barcode Expert company can offer. Create customized barcodes by stamping logos or pictures on symbols as well as specifying an image for filling the bars or dots! Barcode Professional for SSRS is a graphic-based engine that renders high-quality & high-precision barcodes in PNG, JPEG, BMP & GIF formats. Complex Deployment. You need to be sure that each client machine viewing the report will have the barcode font installed! Barcode is missing when exporting your reports to PDF, Word or Excel. The barcode will not be displayed if the client machine does not have the barcode font installed. 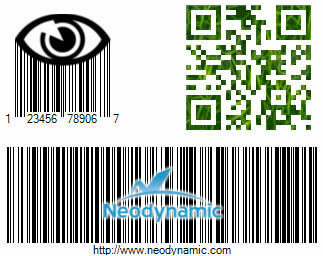 Neodynamic Barcode Professional for SSRS was the first barcode graphic-based component targeting the first release of RS i.e. SSRS 2000. In 2005 our product was included in the MS official Component Partners for Reporting Services. A few months later, MS released SSRS 2005 and our product was again the first barcode visual CRI that was mentioned by Brian Welcker (former SSRS Group Program Manager). Since then; we have been improving our product by adding support to more barcode symbologies as well as newer version of Reporting Services. By choosing our product you get an accurate barcode solution as well as best-in-class support from a barcode expert company with strong know-how on RS platform.